Marvel's Ultimate Spider-Man: Web Warriors - "The Avenging Spider-Man: Part One"
Spider-Man's dream of joining The Avengers becomes a nightmare when Loki switches bodies with the web-slinger, turning his new teammates against him. Will Spidey ever be able to save his reputation after Loki uses his body to wage war against his new teammates and New York City? Marvel's Ultimate Spider-Man: Web Warriors - "The Avenging Spider-Man: Part Two"
Spider-Man and his friends team up with The Avengers to stop Loki and Doctor Octopus from using an army of Venomized monsters to destroy New York City. Spider-Man’s new and old worlds must join forces to destroy these monsters! 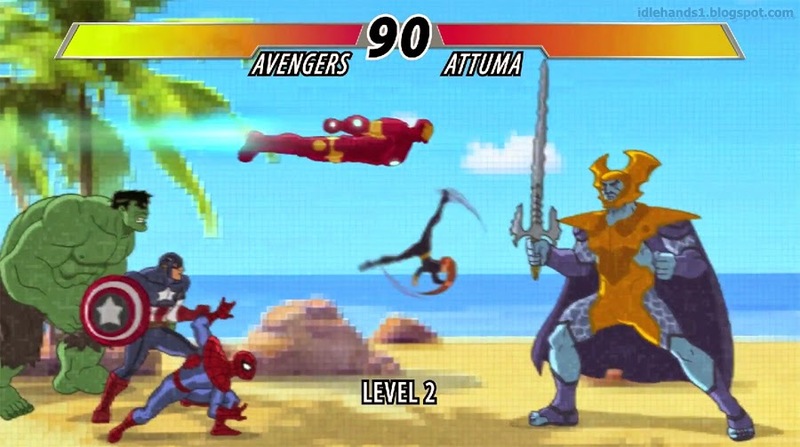 But which team will Spidey choose to fight alongside when the battle is over? BIG HEROES! BIG VILLAINS! AND BIGGER ADVENTURES this week, Share Your Universe with a brand new episode of Marvel's Ultimate Spider-Man: Web Warriors this Sunday at 9 ET/PT inside the Marvel Universe on Disney XD. The Care Bears Are Back!